Poly High School’s top jazz combo group recently won Outstanding Combo for the entire Reno Jazz Festival, while the group’s drummer was named Outstanding High School Drummer for the whole event. Poly’s rock star drummer (or is it jazz star?) is Robert Mantz. 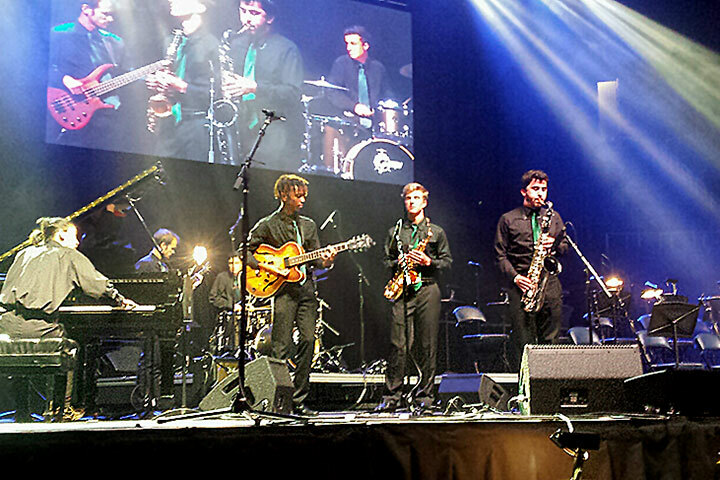 The remainder of the winning combo consists of Kofi Devall, guitar; Edward Lu, piano; Jordan Peacock, bass; Will Stevens, tenor saxophone; and Luke Van Lant, alto saxophone.